Lausanne, Switzerland - November 20, 2018 - Saphetor SA, a Swiss precision-medicine company and leader in diagnostic and bioinformatics solutions for clinical Next Generation Sequencing (NGS), announced today a partnership with HPST, s.r.o., an authorized distributor of Agilent Technologies for the Czech Republic. 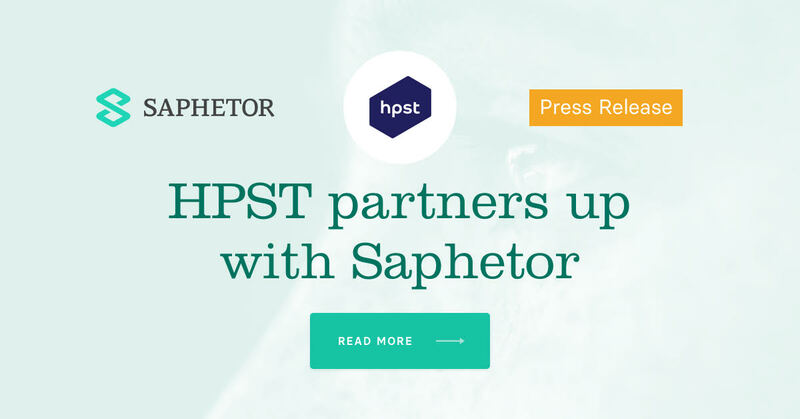 Saphetor’s clinically-certified platform for fast and accurate variant discovery, annotation, and interpretation of NGS data for whole genomes, exomes, and gene panels extends HPST portfolio of tools and services for a wide range of its clients employing NGS technologies for clinical as well as for research purposes. HPST, s.r.o., is a Czech authorized distributor of Agilent Technologies and Czech leading provider in the fields of chromatography and mass spectrometry, dissolution, molecular and atomic spectroscopy and in the field of molecular biology and genomics. HPST provides the most comprehensive high-quality solutions for molecular biology like analysis of nucleic acids and proteins, microarray scanners and slides, PCR & RT-PCR, qPCR, NGS solutions, reagents for mutagenesis and cloning, FISH probes and not least the solutions for pathological laboratories. Saphetor SA is a precision medicine company based in Switzerland whose goal is to improve outcomes for patients by offering clinicians data-driven solutions for making faster, more accurate diagnoses and for selecting the best therapies. Saphetor Platform is a clinically certified tool for variant discovery, annotation, and interpretation of NGS data for whole genomes, exomes, and gene panels, for individual samples, trios, families, and cohorts. It empowers hundreds of clinicians, molecular geneticists and researchers by providing a feature-rich, validated and clinically certified tool that facilitates accurate diagnosis of diseases that had previously been difficult to identify. Saphetor created and operates VarSome.com, a widely recognized genomic community and search engine, enabling accurate queries across more than 30 public genetic and genomic data resources.